Raw Meat Pet Food. Holistic-vet recommended. 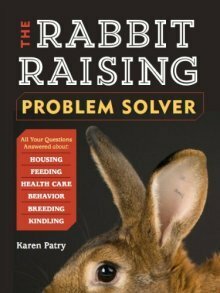 Feed your pets species-appropriate and ready-prepared raw rabbit for pets direct from the farmer. It is only in the last few decades, comparatively, that we've had the convenience of opening a bag of dry kibble and scooping out the day's ration into food bowls. We try to coax ourselves into believing our pets will thrive. If only that ration were healthy! Instead, it may contain a little meat and a whole lot of grains and by-products (not to mention that dead dogs and cats are included in some formulas). How many of our animals have been diagnosed with irritable bowel or a multitude of other painful syndromes? Now, with the onset of the internet and the ability to order pet food online, it has become a whole lot easier to feed our pet dogs and cats the raw meat pet food that their bodies will thrive on. But it's fantastic for your pet dogs and cats! Dogs and cats have hunted, killed, and eaten prey animals for many millennia. Cats are obligate carnivores. A solely carnivore diet, whether whole prey or not, is species-appropriate for pet cats. Dogs, if not obligate carnivores, at least favor a highly carnivore diet. Some experts hold that dogs are omnivores with a predilection toward a carnivore diet, while others maintain they are obligate carnivores as are cats. At any rate, whole prey meals or other raw meat, bones, and organ meals can only improve the health of our pet dogs. Why NOT feed their bodies and minds what Nature has decreed is best? online delivered to your door. Peace of mind as your pets blossom and thrive on their natural species-appropriate food.